As the true source for high-return advertising exposure, organic SEO services promote a more credible web presence and brings relevant consumers to your website. Organic SEO is a persistent practice that demands hands-on experience and the right arsenal of SEO resources. When done right, organic SEO services can contribute to significantly higher search engine rankings, resulting in a momentous shift in online traffic. Increased visibility from our organic SEO service, also known as natural SEO, is the result of targeted keyword research, great SEO copywriting, and consistent link building. These three factors are essential to maximize organic SEO performance. At the Web Presence Group, we specialize in organic SEO services supported by all of these factors and more. We help our clients achieve website optimization goals based on ethical, “white-hat” practices. We do this through a number of organic SEO resources designed to obtain sustainable, top search rankings. When you work with our organic SEO team at the Web Presence Group, you receive best-practices natural SEO services tailored specifically for your webste. We provide more than just optimization templates or standard organic SEO procedures. We build unique organic SEO campaigns from the ground-up, using an array of powerful tools and techniques. 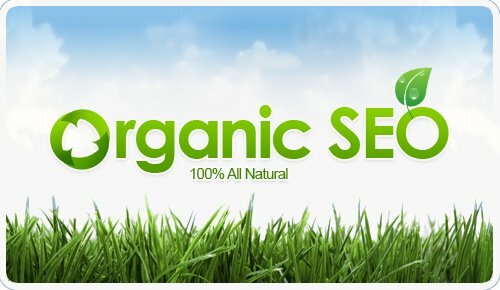 Learn more about each component of our organic SEO service below. Quality keyword research is the foundation to a solid organic SEO service. The result of quality keyword research should not only reveal which search phrases are most relevant, but also the keywords that are most profitable. We pride our organic SEO service on comprehensive keyword research using an array of tools. Before we optimize any website, we take into consideration keyword competitiveness and projected shifts in online markets. As a result, execute search engine optimization programs that off both increased website traffic and conversions. During the keyword research phase, our organic SEO team analyzes the complete picture to best optimize your web presence. SEO copywriters are the cornerstone to a strong organic SEO company. SEO copywriting is critical, for the content of a website determines how the site is crawled and indexed in the search engines. Additionally, good SEO copywriting can contribute to faster and more sustainable search rankings. At the Web Presence Group, our SEO copywriters are have years of experience in the organic SEO profession. They utilize a number of SEO copywriting resources to gauge keyword density and overall quality of the copy. Unlike other companies that provide natural SEO services and outsource their content, we offer an in-house team of highly experienced SEO copywriters. Considered the most influential factor to attain top search rankings, link building has become a dominant player in organic search engine optimization. Sound link building practices can be executed though a number of mediums, such as publishing articles, blogs, and other forms of online content. Additionally, link building can be done though directory and link submission sites, social mediums, press releases, and content sharing networks. Link building is a core discipline to our organic SEO services. Our team diligently applies an arsenal of link building resources to your website’s benefit. We are even able offer custom link building programs as an individual service to improve your organic SEO performance. Today, most of what we see on the web hinges on content. Content marketing is the capstone to quality natural SEO services. Not only does content marketing contribute to more links and better organic SEO results, but quality content marketing can promote better brand awareness, credibility, and consumer loyalty. By taking advantage of our organic SEO services, you can advance your web presence even more. We publish optimized content that relates to your audience and links back to your website. The result is more opportunities for relevant consumers to learn about who you are and what you have to offer. 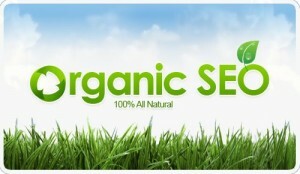 Local organic SEO, or geo-targeted search engine optimization, is amongst the most efficient forms of marketing today. Optimizing for local, in-market consumers can lead to highly targeted search traffic with highly relevant needs. For small businesses, local SEO is one the greatest marketing investments. At the Web Presence Group, we specialize in local organic SEO services for many different companies. Whether for large or small businesses, we can tailor natural SEO campaigns that aim toward searchers looking for a product or service in a specific location. We are also offer expertise in local Pay Per Click advertising as well as Google Places optimization. The natural results are becoming more and more inundated with videos and rich media. As a result of this shift, video optimization has become an essential component to our organic SEO services. We are able to expand your web presence with proven video SEO techniques. Our professionals have experience optimizing videos both internally and externally. To learn more, visit our page on video optimization for organic SEO. Our team of organic SEO experts is highly experienced in both search engine optimization strategies and Internet marketing. Prior to launching an organic SEO campaign, we take into consideration how the search engines view and interpret your website. That means we evaluate the effectiveness of your website’s code, link structure, page copy, as well as images, graphics and videos, which all have the potential to be optimized. Our organic SEO experts provide consistent oversight of what the competition is doing as well as keeping your site compatible with new search engine algorithm changes. Thank you for your interest in the Web Presence Group as a website optimization company for expert organic SEO services. To inquire or learn more about our capabilities, contact us.